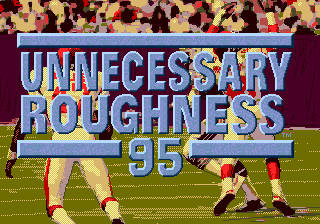 Unnecessary Roughness '95 is an American football game for the Sega Mega Drive. It was only released in North America. Main article: Unnecessary Roughness '95/Magazine articles.